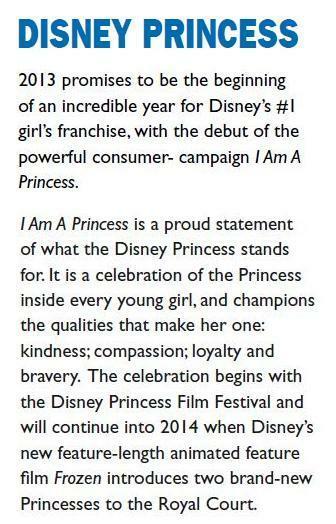 Disney Australia held a Disney Princess Film Festival to coincide with their I AM A Princess campaign this past February. The aim of the campaign is to celebrate the wonderful qualities the princess in every girl has: kindness, compassion, loyalty and bravery. Not only was this a celebration of past princesses, but an announcement of future princesses as Disney has decided to add Anna and Elsa to the official list. The article states that the sisters will close off the princess celebration by being added to the lineup sometime in 2014. This seems interesting in that this is the first time that sisters will both be included as part of the Disney Princess lineup. 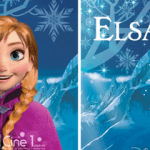 Considering Frozen is a CGI film, this will also be the second and third CGI princess added to the lineup. Hopefully, the conversion of their CGI designs will do the characters justice. Anna and Elsa will join the ranks of the other official Disney princess pantheon, which currently includes Snow White, Mulan, Aurora, Belle, Tiana, Rapunzel, Ariel, Cinderella, Jasmine, Merida and Pocahontas. To view the current Disney Princess designs, which have been revamped for 2013, go to disneyprincesses.com.